Man oh man. What has happened to Tim Burton? It has been nearly a decade since he made a film that didn’t make me want to rip my eyes out and yet I still believe in his talent. I know Tim has the ability to be a great storyteller. I’ve seen it in Beetlejuice and Edward Scissorhands but instead all we seem to get are horrible misfires like Dark Shadows, Alice in Wonderland, Charlie and the Chocolate Factory, Planet of the Apes, Big Eyes, the list goes on….When I saw the trailer for his latest project Miss Peregrine’s Home for Peculiar Children I got excited. Could this be a redemption film for Tim Burton? I was so interested in the film I read the book, which I found kind of boring but it had potential to be a better movie. This could be Tim Burton’s X-Men about a school in Wales for children with special abilities. 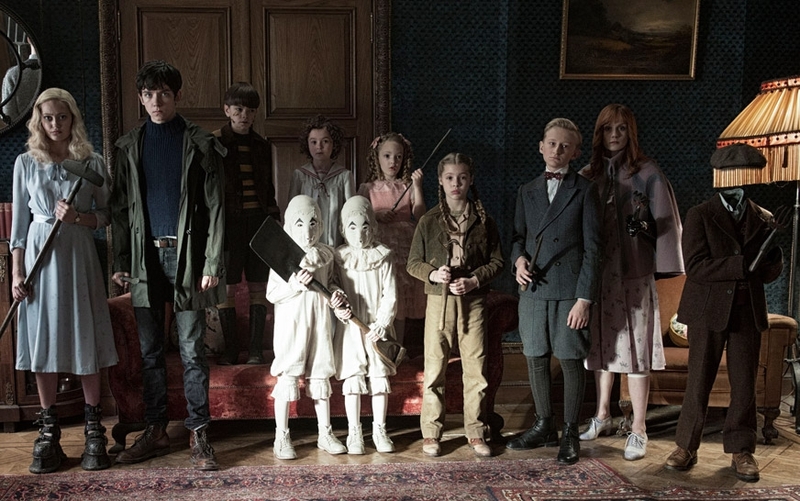 The school is led by a woman named Miss Peregrine who is part bird. That sounds like a great premise for a Tim Burton movie but much like his recent films it is all promise and no execution. Let me just come out and say it this movie bored me to tears. It felt like it would never end. The biggest problem with the film is all the exposition. It reminded me of Last Airbender (never a promising start to a sentence) in the way it took magical lore and made it unmagical by explaining everything. Even the final fight is mostly people explaining their motivations and how they are going to get away with it. Kill me now. I haven’t been so bored in a movie since Warcraft. The trailer makes it seem like you are going to spend all this time with all these crazy fun kids. Not so much. Most of the kids you barely see and when you do see them it is more explaining with ever so brief glimpses at their skills (and absolutely no sense of attachment or heart to these mutant kids). 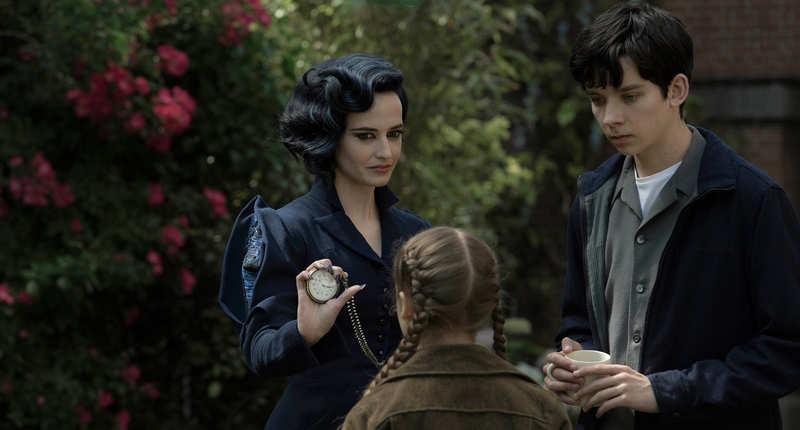 Eva Green looks the part of Miss Peregrine but is left explaining to Jake how loops work and what the wights are (the school is in a loop repeating the same day and there are all these other loops all around the world…). There’s a scene where she shoots a crossbow at a wight and that should be awesome but it’s not because the script won’t allow it to be. I fell asleep for a few minutes at one point which is never a good sign. 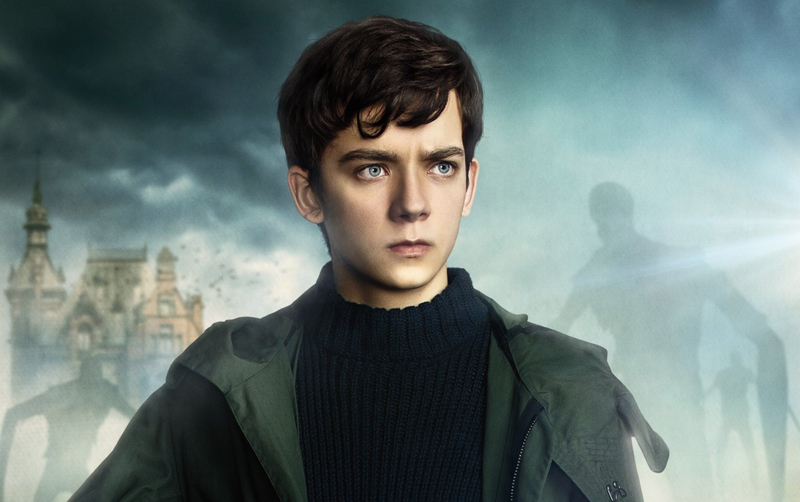 Asa Butterfield plays Jake who is grieving over his grandfather who dies in a rather horrific way (pretty scary movie for little kids). But he’s completely bland and the screenplay never allows us to connect with him emotionally. This movie reminded me a bit of the 5th Wave. A premise that should be epic and exciting but instead is just dull and bland. It doesn’t even have Tim Burton’s signature colors or artistry. There is one fun fight with skeletons at the end but even that is interrupted by a scene with a lot of talking. The film is set in Wales so the cinematography feels foggy and muddled, so I didn’t even enjoy it on a visual level (at least a movie like Charlie and the Chocolate Factory, which I hate, has a little bit of cool production design). I guess the only thing that looked kind of cool was when Jake and Ella are underwater and one of her bubbles becomes a helmet for him. That’s all I’ve got. There’s a twist with the villain that is supposed to surprise you but since we have spent no time with this person we don’t care. 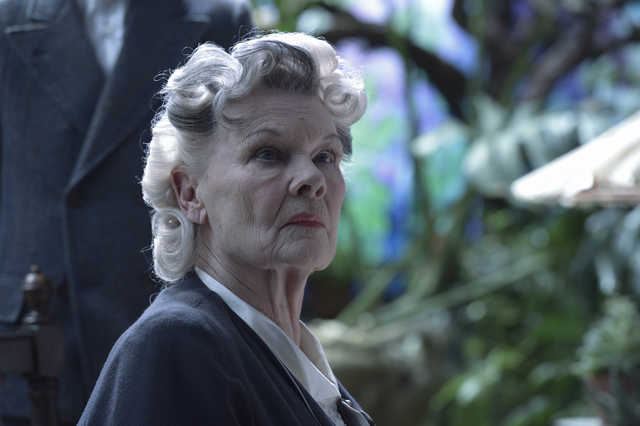 We also get Judi Dench for about 5 minutes to further explain things. Everyone feels miscast and bored in the film. Samuel L Jackson has a little bit of a fun but he does a lot of explaining too. It’s just some kind of curse on this movie. I really hated it. It might seem like I am being harsh but I really was that bored. The movie didn’t say anything to me or have a message I could appreciate or anything. I just kept wondering when it would be over and I could go home. Maybe it’s a good idea they didn’t release this film originally in the winter like they planned hoping for awards. Ha. Yeah good plan! This was actually probably a perfect time to release it. It might come out first this weekend. Wow. Rip your eyes out? Why? This implies his films visually offend you. In the past 10 years, Tim Burton has made Sweeney Todd, Frankenweenie and Big Eyes. I enjoyed all of those in varying degrees. Say what you will about the narrative in his films. They are almost always visually gorgeous. Miss Peregrine is no exception. It’s not perfect by any means. It has a tendency to drag in parts, but I was mostly entertained. Sorry you didn’t enjoy it too. I had fun with it. Big Eyes I thought was ruined by Christoph Waltz over-acting. Sweeney Todd was 2007 which is why I said nearly a decade. I do like Burton’s animated films. I wish he would just stick to that. I found this movie visually flat and dull. I was so bored. I’ve found that with fantasy and superhero movies I’m weird. I didn’t like them as a child with the exception of princess movies and Star Wars. As an adult I like them better but where other people can appreciate the world building or charm I usually don’t. Like the Hobbit movies were brutal for me. I felt like they would never end. Lord of the Rings was good enough to win me over. I don’t know if that makes any sense. I guess I have a high pass/fail threshold when it comes to fantasy/superhero movies that I don’t have with more realistic films. Tim Burton with the likes of Dark Shadows, Charlie and the Chocolate Factory, Alice in Wonderland, Planet of the Apes, just awful. I didn’t think Miss Peregrine was visually flat. On the contrary, it was such a beautifully realized period piece. Those costumes, the cinematography. The location filming was actually done in the United Kingdom and Belgium. All of that shows in the final product. The cinematography felt very ordinary to me. Even suburban Florida didnt have the strangeness you see in Tim Burton films. I will give you the costumes were good. Colleen Atwood is amazing. But the creature designs felt very been there done that to me. Pingback: How to Fix Tim Burton – Reviewing All 54 Disney Animated Films And More! 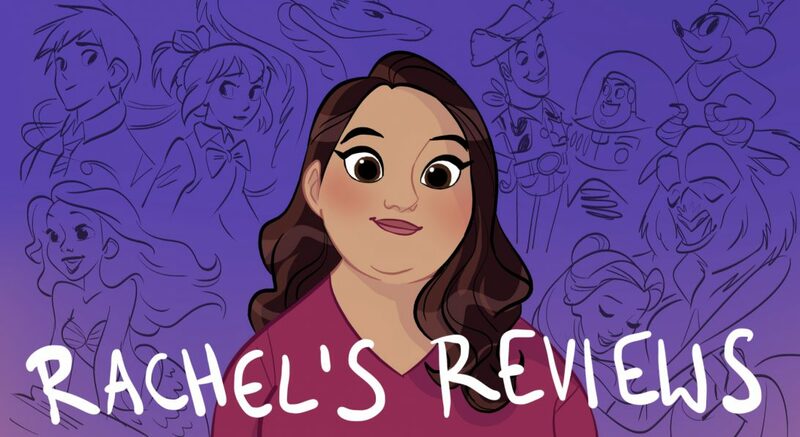 Pingback: Fantastic Beasts and Where to Find Them Review – Reviewing All 54 Disney Animated Films And More!